What to do with leftover Spicy Peach Salsa? How about a delicious breakfast? Oh, I know what some of you are thinking. Why egg whites? Why not just make an omelet? To understand the answer to that question, please see my post In Defense of Tofu and Egg Whites. 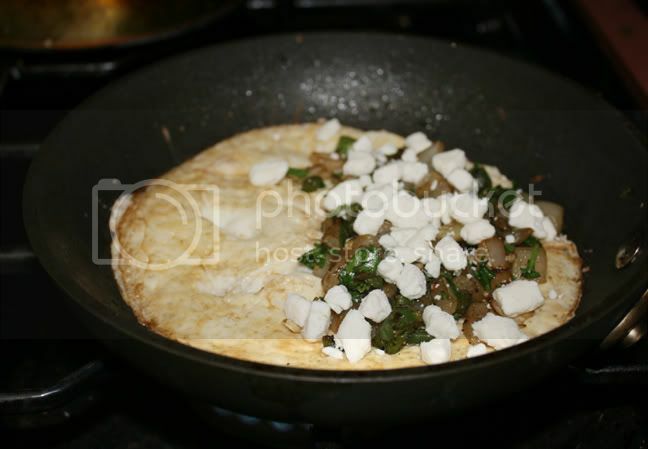 Now, I've made egg white omelets before, but this is definitely the best one of the bunch and worthy of sharing. Oh, and I think it is safe to say that not only is it extremely tasty, but it is healthy! I will go even further and say that it is satisfying. After I ate it I took a 2-1/4 mile walk in the heat, and didn't feel weak or hungry when I came back. I served it with toasted crusty bread with just a smidgen of butter. 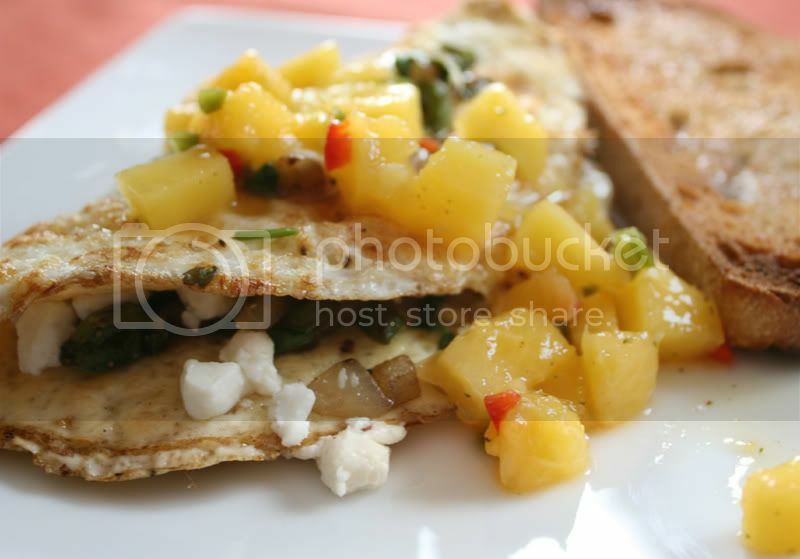 As I ate, I began piling pieces of the omelet and fruit onto the bread. It was crunchy and made me feel special. Spray the pan with cooking oil spray. Sauté the jalapeño and onion in the cooking spray over medium-high heat with salt and pepper. Once I added the onions and chiles to the pan, I sprayed them again. When it's almost done, add the garlic and cilantro. Cook one minute longer. Set aside. 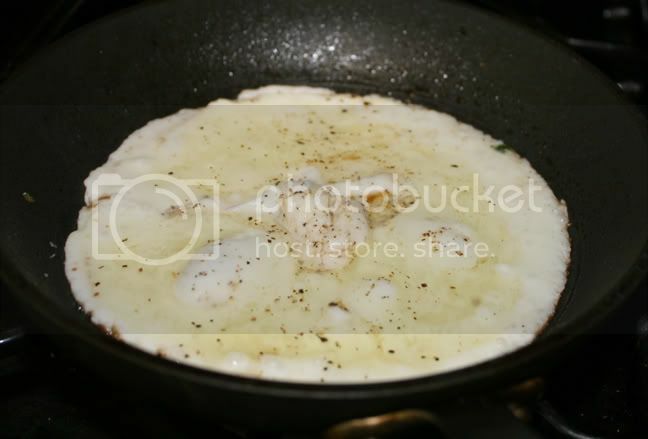 Add the egg whites to the pan. Salt and pepper the surface. When it's ready, try to flip it so it remains in one piece. 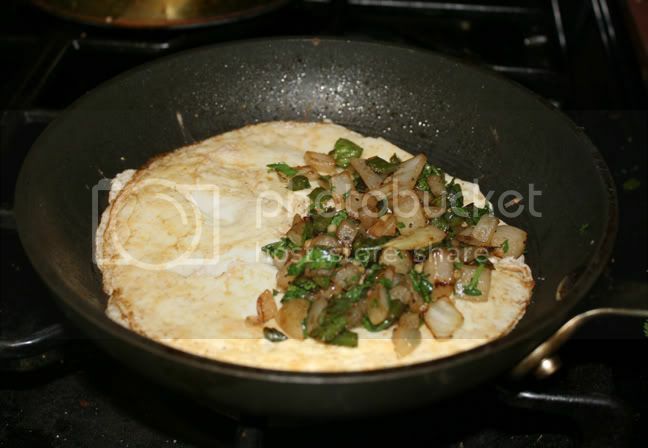 Then top 1/2 of it with the sauteed onions and chile mixture. Sprinkle with the cheese and turn off the flame. Fold it over so the toppings are covered. 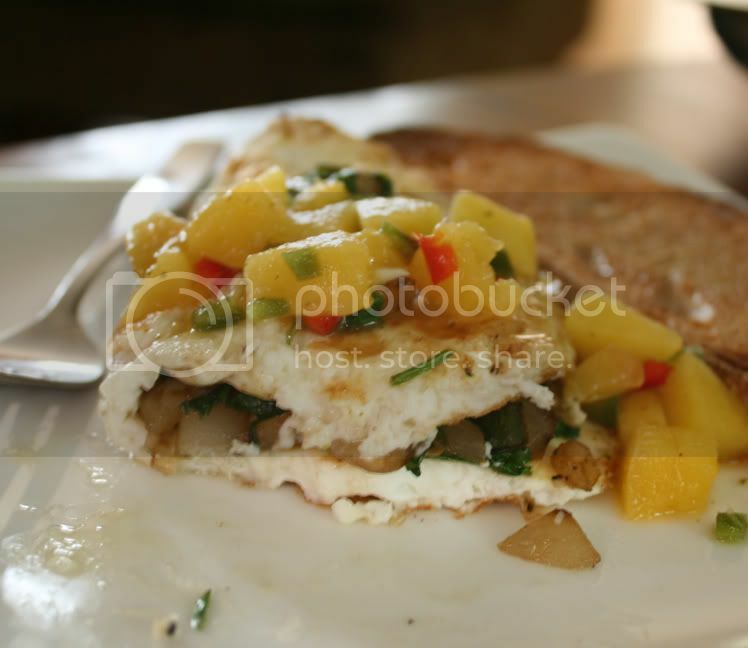 Plate the omelet and top with the Spicy Peach Salsa. 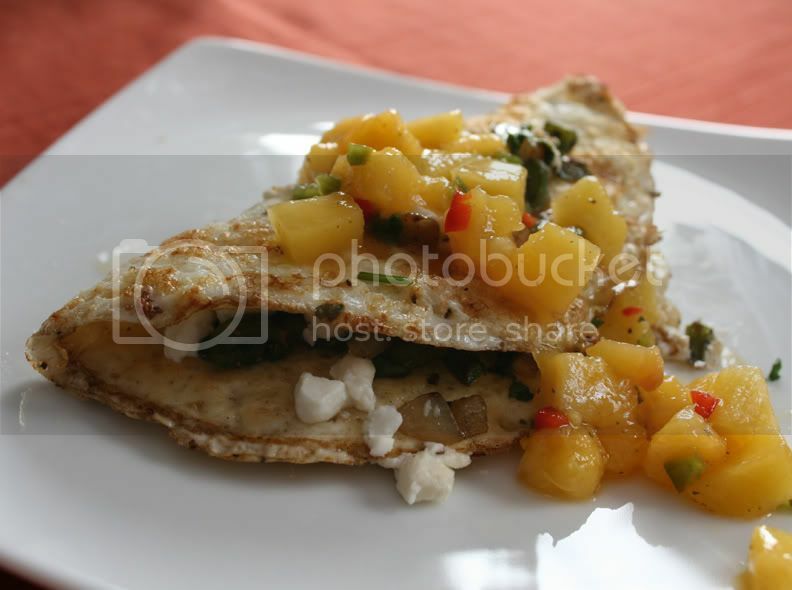 er made an egg white omelet before, but shall try this for lunch later today.